In American Sign Language, train go sorry means missing the boat. 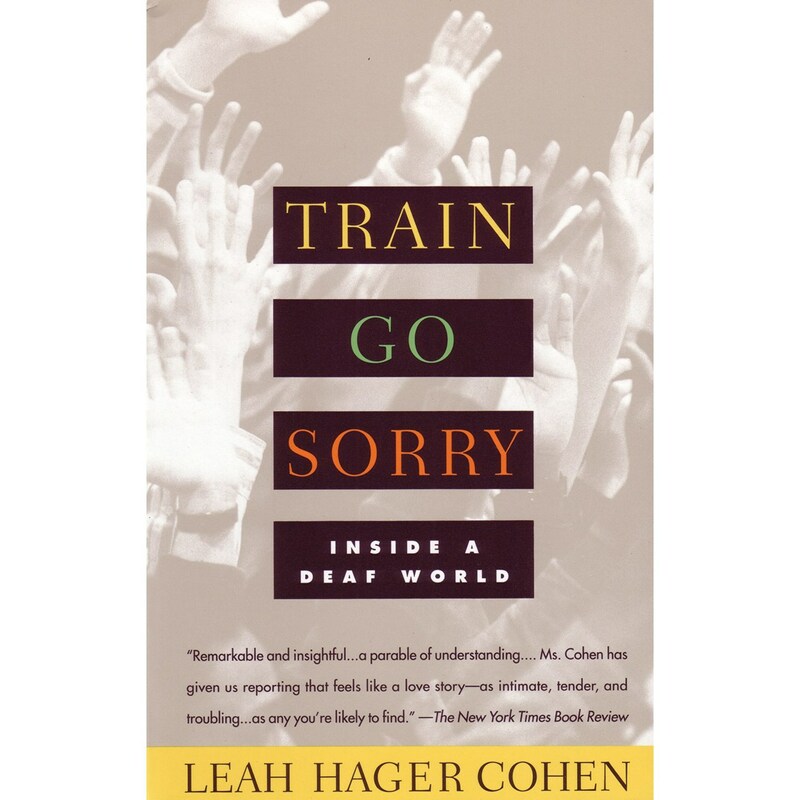 Leah Hager Cohen uses the phrase as shorthand for the myriad missed connections between the deaf and the hearing. As a hearing child, Leah Cohen grew up and formed her identity at the Lexington School for the Deaf in Queens, NY, where her father was the school superintendent, also her grandfather was deaf. Passionately Train Go Sorry compels us to see the deaf as they see themselves: not as victims of a pathology, but as members of a vital and nurturing culture. 296 pages. Soft cover.